This blog will turn six-years old in less than two weeks. It has put me in a reflective mood. The world changes – quickly. Technology disrupts. Greed is in no short supply. As George Harrison wrote, “It Don’t Come Easy”. That applies to artists of all kinds in the year 2019 – authors are no exception. Let’s review some popular Bangkok fiction and note the publication dates. 2016 seems to have been a pivotal year. 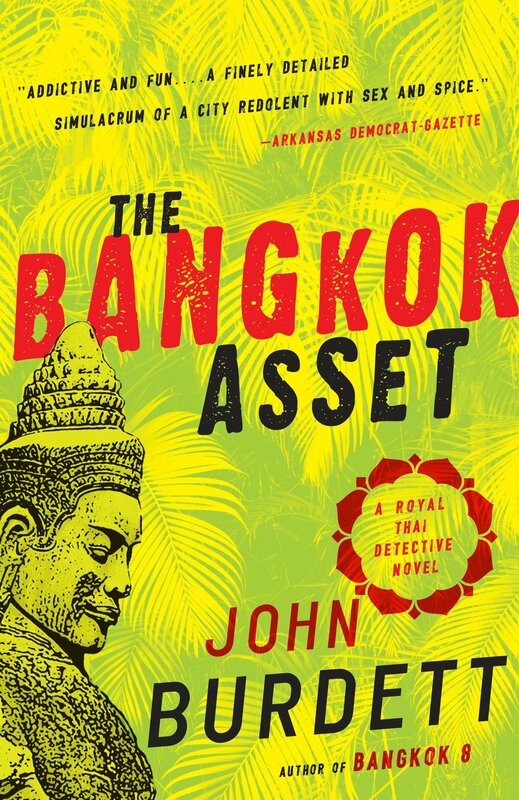 The Bangkok Asset by John Burdett, first published August 3, 2015 came out in paperback in July of 2016. This is another fine Royal Thai Detective Sonchai Jitpleecheep novel by Burdett, number 6 in the series, which took a different path. Some took issue with it. I was fine with it. By all accounts it sold well. The Bangkok Asset surpassed Bangkok 8, the 1st in the series, as my favorite. Will there be a lucky #7 in the series? My review of The Bangkok Asset can be found here. 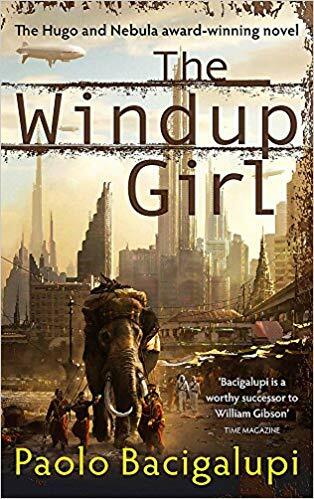 The Windup Girl by Paolo Bacigalupi, first published in September of 2009. It sold a ton and won bookoo awards. Simply put: not my cup of tea. I didn’t finish it and I know many who make the same revelation. I got 90 pages into it, which was 60 more than I enjoyed. Fool’s River came out in August of 2017. It seems longer ago to me. Tim is the author of my favorite Bangkok Thriller of all time, The Queen of Patpong, which burst upon the scene way back in 2010. 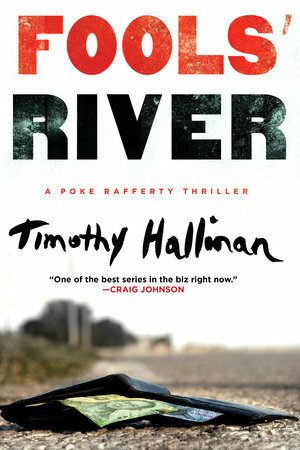 Fool’s River is #8 in the Poke Rafferty series. Many readers have grown to love Poke’s patchwork family. Here’s a review I did on the series as it stood in 2014. 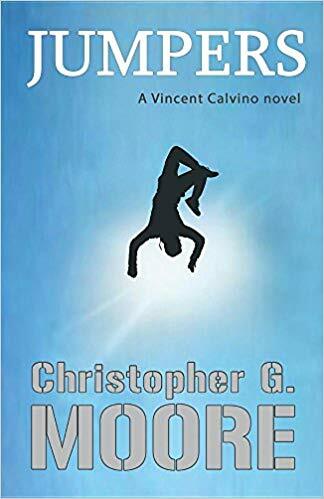 Jumpers by Christopher G. Moore, published by Heaven Lake Press in October of 2016 is #16 in the popular Vincent Calvino series. That’s 2 1/2 years ago – a long time for Vinnie, making some people wonder if he’s ridden off into a Canadian sunset? The Calvino series always captured the times and technology of Bangkok perfectly. Times have changed as has technology. If you can’t wait for a new Calvino novel I suggest you re-read the old. My favorite is Missing in Rangoon. My review of Jumpers can be found here. Harlan Wolff made quite a splash when his debut novel, Bangkok Rules appeared in April of 2013 – six years ago. It garnered over 100 Amazon reviews lickity-split. More than some Pulitzer Prize winning novels at the time. A remarkable feat. Six years later some people feel they have been waiting a long time for the author’s second offering. 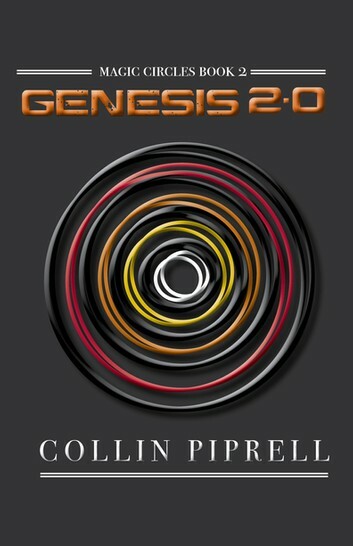 For readers looking for something completely different there is Genesis 2.0 by Collin Piprell. It too was published comparatively recently, by Common Deer Press out of Canada. The hardcover edition has only been out since March of 2018. It is the sequel to MOM, which I reviewed here. Set in a dystopian future with comic touches Genesis 2.0 will appeal to readers of science fiction and fans of Collin’s insightful fiction. 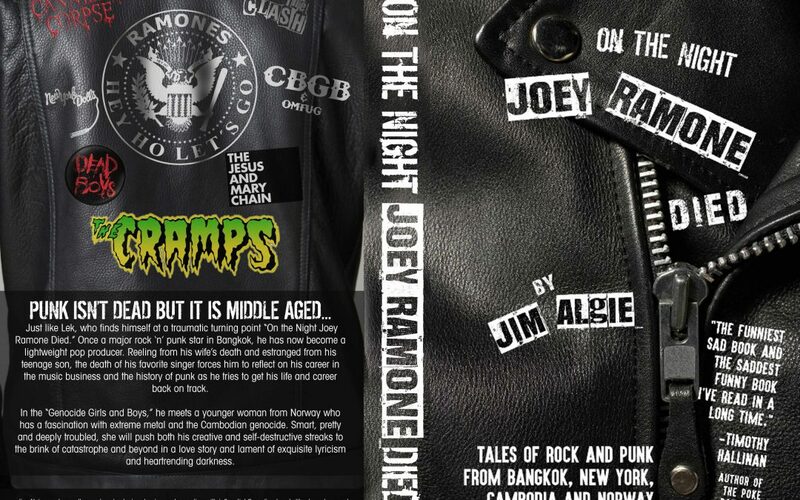 The best book I have read with Bangkok as a character in the past 18 months is the expanded edition of On The Night Joey Ramone Died by Jim Algie out since February 2018. 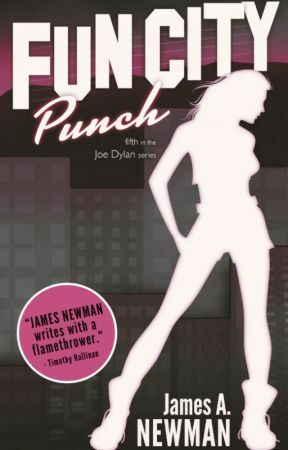 There is not a private investigator to be found in this novella set – only clever writing and interesting characters. We recently lost the longtime Bangkok based author to the desert life of Arizona. Jim was married four months ago and now lives outside of Tucson with his wife, Rhishja and their two dogs. Is there any Bangkok fiction left in the pen of Jim Algie? I have my doubts about that but no doubt we will be hearing good things from the American author in the future. So where does that leave us? “What have you done for me lately?” as the expression goes. 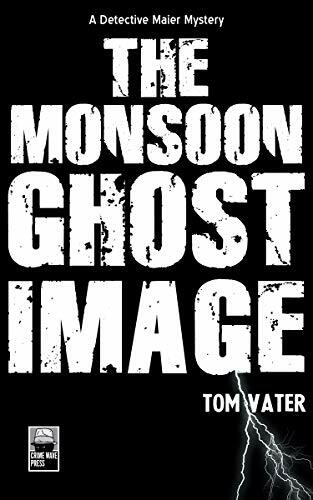 The last Bangkok crime fiction of any note published by an author in the last six months that I am aware of is The Monsoon Ghost Image by Tom Vater – the third in the Detective Maier Mystery Series. I always enjoy Vater’s fictitious adventures including his take on American politics – very entertaining. My nit with Tom is he could be more gracious toward his competition. When you waste time talking about authors negatively, you aren’t talking about your own products. 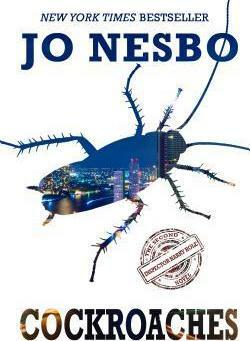 I wasn’t going to include Jo Nesbo’s Cockroaches as I didn’t read it and don’t know enough about the author. Tom Vater, evidently, does as he is quoted in an interview saying Jo Nesbo is a “shallow” author whose books he finds “mind-numbing”. I’ll take Vater at his word. No reason not to – he’s informed. The hardcover and paperback of Cockroaches came out in 2014. I wish it were easy to write shallow fiction for millions of dumbed-down readers – I’d throw my hat into the ring. Alas, it’s quite difficult to do what Jo has done. Lucky he is. For what it is worth Cockroaches has over 800 Amazon USA reviews and a composite star rating of 4.2. A sure sign Nesbo is no artist if ever there was one. He probably eats well too. Bangkok Wakes to Rain has been marketed well but doesn’t seem to have sold well. Written by Pitchaya Sudbanthad it came out with much fanfare just six weeks ago yet it has collected only five Amazon reviews, two of them less than stellar. The days of a Big 5 publishing contract never guaranteed success but it certainly helped your chances. I have begun, but not yet finished, this stylistic collection of vignettes. 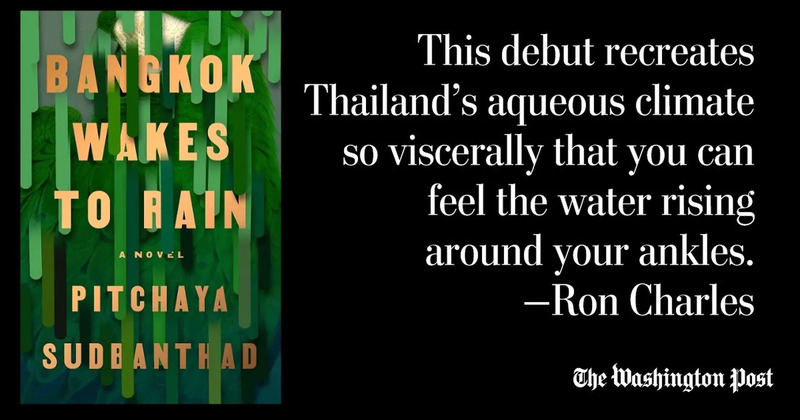 In an age when the novel has been declared dead more times than an unlucky cat, what can readers who like Bangkok as one of their prime characters look forward to? The Kingdom by Lawrence Osborne is due out later this year. 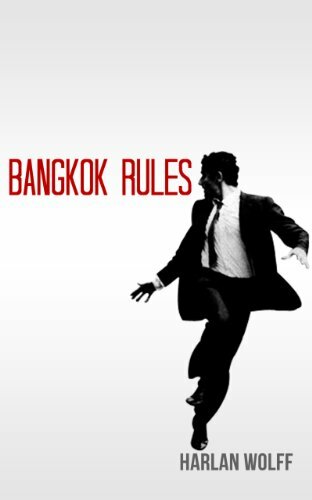 It will be the third Osborne novel with an Asian backdrop but his first set primarily in Bangkok. 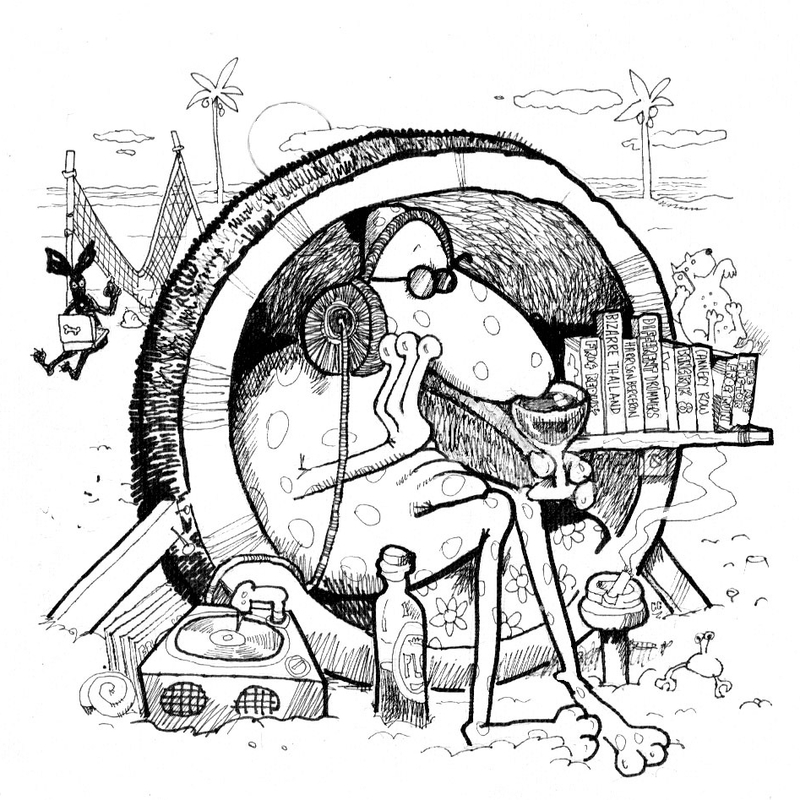 Mr. Osborne is a hot author these days who broke into the Bangkok literary scene by plunging deep into expat-living with his work of non-fiction, Bangkok Days – published almost 10 years ago. Prior to that he had a twenty-year run as a top notch journalist and freelancer in New York City. Lawrence took an old Harvard Business School maxim and successfully applied it to his craft: Writing by Walking Around. The Kingdom will be no franchise novel – it is set to follow the lives of four women living in an apartment on one of Bangkok’s colorful blocks. Given the roll Osborne is on, with various film projects in pre and post production, the story is sure to have cinematic qualities, classic ones given his taste. So there you have it – one blogger’s take. What does the future of Bangkok fiction have in store for the next five or six years? I have no idea. As Lawrence Osborne is quoted in a recent interview, “I think people do still read. I get feedback from people.” The question is will they be reading what has come to be known as Bangkok fiction in the future? And if so, whose will it be?